Produktinformationen "Thunderstone Quest - At the Foundations of the world Expansion"
Each Quest consists of a selection of dungeon tiles and monster cards that create an engaging storyline. Each Quest includes rules for selecting Village and Dungeon cards to create a variety of Adventures. After you've mastered each Quest you use random setups of Quest cards to create new Dungeons and Villages - build your own Quests and Adventures! Contains 6 dungeon tiles, 25 dividers, randomizers, and 243 cards, including 6 heroes, 6 monsters, 12 support items, treasure and three versions of the Guardian, each of slightly different difficulty, meaning that different Adventures within the Quest have a scaling challenge. Base game is needed. 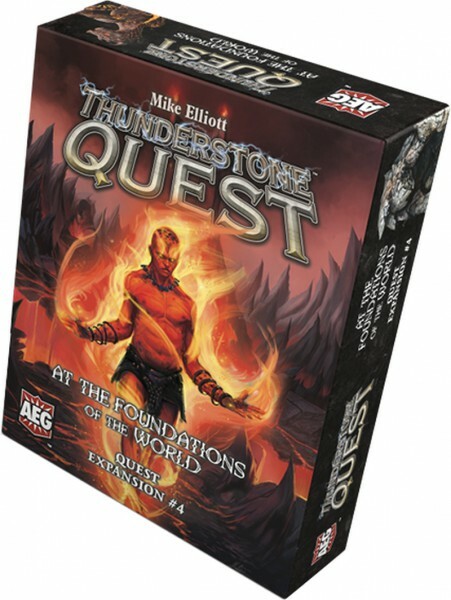 Weiterführende Links zu "Thunderstone Quest - At the Foundations of the world Expansion"
Kundenbewertungen für "Thunderstone Quest - At the Foundations of the world Expansion"